If you are looking for a recipe for kids birthday party try this super yummy (and easy!) 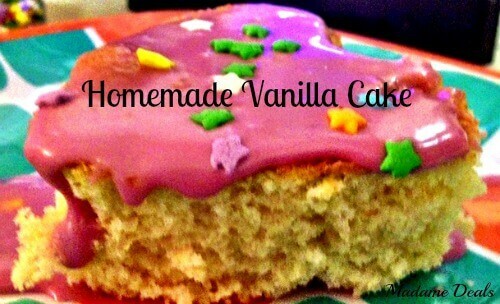 homemade vanilla cake! I love making things from scratch for my little girl, because it’s cheaper, and it has more opportunities for her to help me measure and stir. I always like to take the time to help my little girl learn and have fun! Easy Cake Recipes for Kids : Easter Egg Cake!